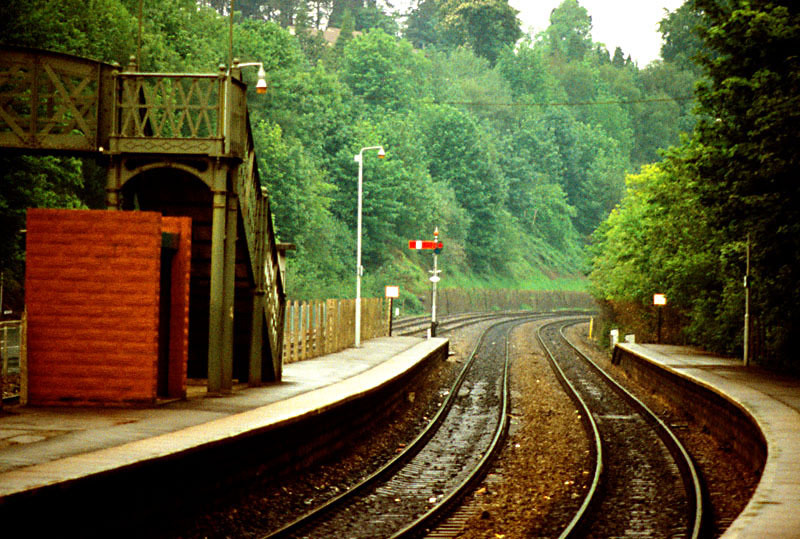 At Radyr Junction, the Cardiff "City Line" (right) joins onto the former Taff Vale line to Pontypridd and beyond. 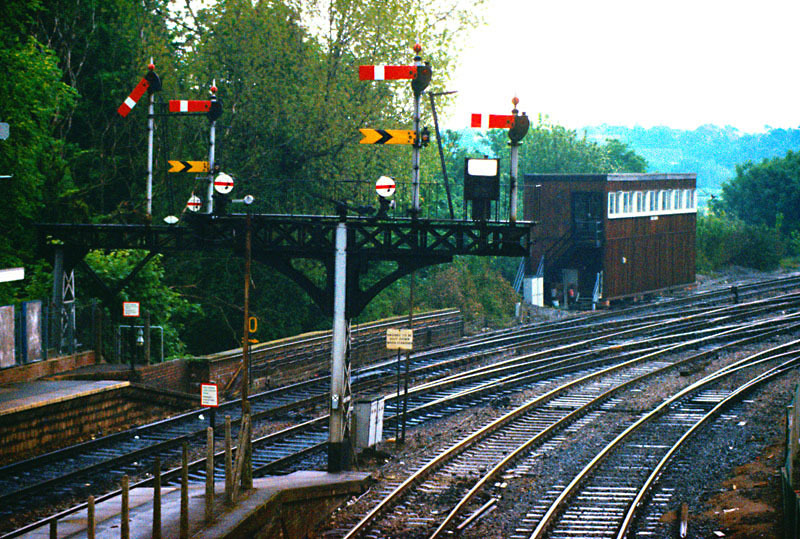 Prior to resignalling, there were some marvellous signalboxes around here. 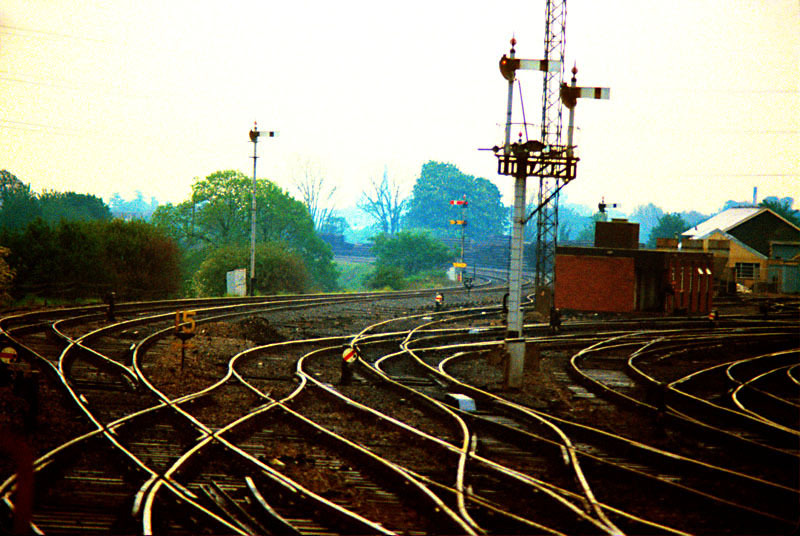 In the opposite direction, there were four tracks towards Walnut Tree Junction, though by 1983 the up relief had been downgraded to a siding. The down home brackets. 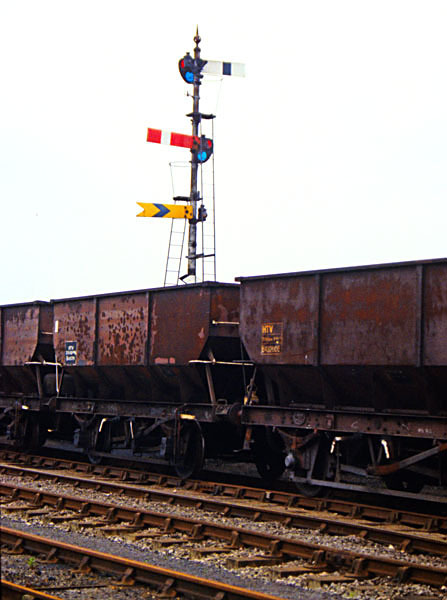 These had also been reduced somewhat, as there had originally also been four tracks to Llandaff Loop Junction but, for that section, the down relief had been removed. A closer view of the down relief homes bracket. 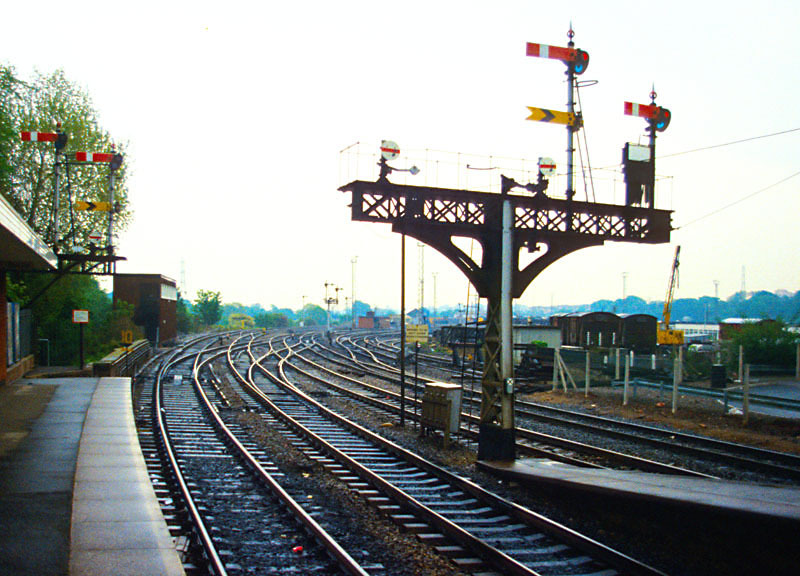 The disc on the far left applied to the up main, on the other side of the platform. There was now no route from the down relief towards Llandaff, so the only main route was to the City line. 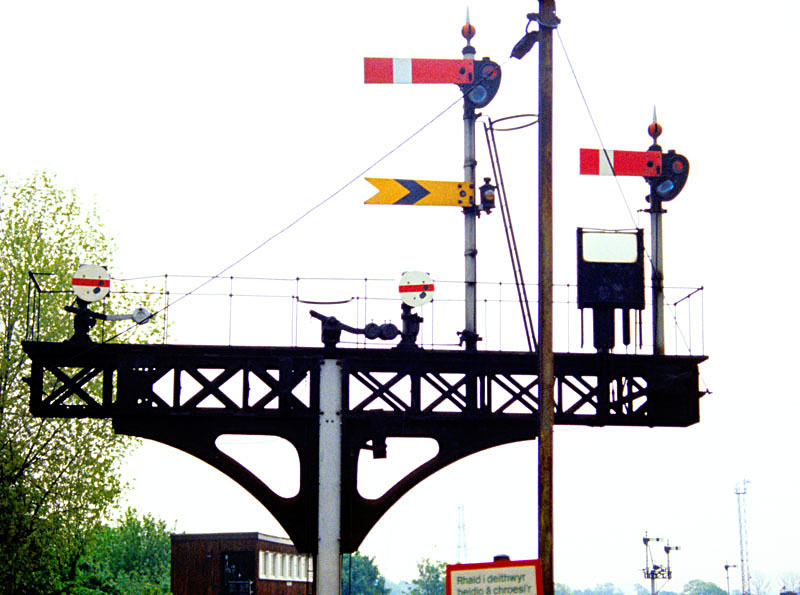 Ironically, two more dolls were later added to the left-hand side of the bracket to allow reverse departures from the up main platform when the City line was re-opened to passenger traffic. The line towards Llandaff Loop Junction. 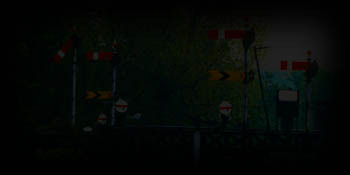 A short way down the City line was Radyr Quarry Junction, where the Llandaff Loop itself diverged back towards the main line into Queen Street. 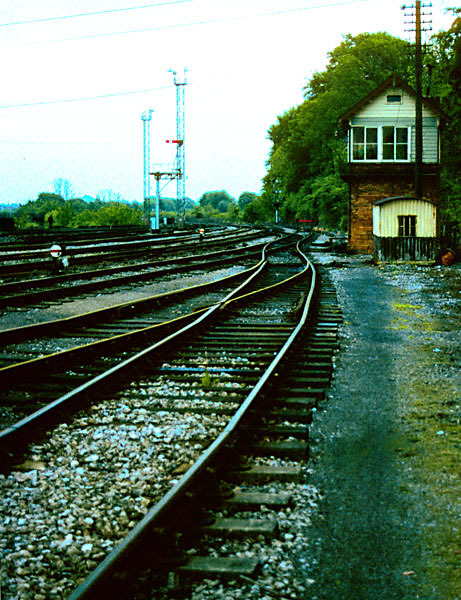 This combination was its down home and up starter, with Radyr Junction's inner fixed distant below the latter. 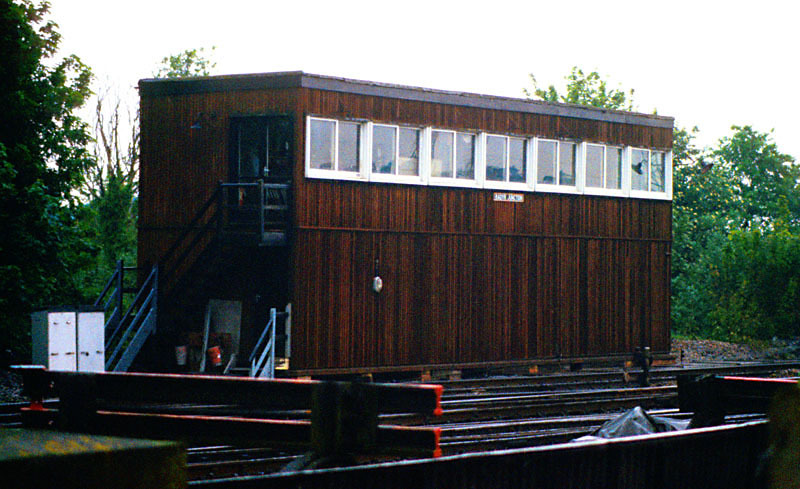 Radyr Quarry Junction signalbox, with the down starter and up innerhome also visible.